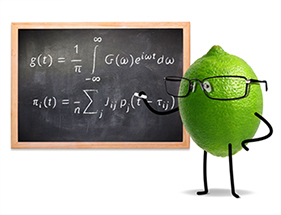 LIME is a mathematical engineering firm that focuses on the industry. We are unique in offering a broad and high level of competence combined with high accessibility. With our Mathware we solve issues that are in the way of innovation. 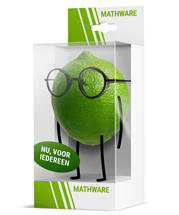 We define Mathware as: The result of the creative and pragmatic application of mathematical expertise. It lifts existing hardware and software to the next performance level. 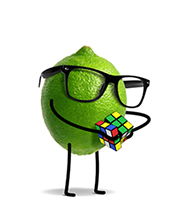 LIME is a subdivision of the Sioux Group and can, if required, supply its Mathware in combination with hardware and software. LIME started as a consultancy group at the department of Mathematics and Computer Science of the Eindhoven University of Technology, realizing the added value of Mathematics as a Technology in process and production development. The people at LIME are all highly qualified academics (often with a PhD) in Mathematics, Physics, Engineering or Econometrics. Our team consists of highly educated mathematicians, physicists and econometrists. We offer our expertise in the form of consulting or on a flexible project-by-project basis. We translate practical problems into descriptive models. By using advanced mathematical techniques, we define the optimal practical solution. Every puzzle starts with a simple conversation: What is your problem? Because we realize breakthroughs, we are often reinvited by clients. This fits perfectly in our ambition to develop our customer relationships into partnerships. In this respect LIME can lift the R&D of in particular SME’s to the level of multinationals. Who does LIME work for? LIME works internationally for multinationals, SME’s and start-ups. Sectors in which we have acquired references are high-tech, semiconductor, mining, oil & gas, supply chain, logistics, packaging, production and software. Everyone who is looking for an optimal solution is our potential client.